The Staff Makes The Moderne a 5 Star Apartmentsubmitted by Nicholas B. 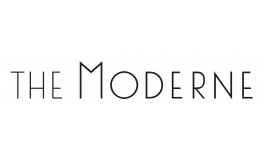 - Feb 23, 2019 |Recommended: YesI have been living at The Moderne for 2 years now. I can easily say that the staff at The Moderne are second to none. Between the concierge desk in the main lobby, the maintenance team, and the leasing office, I feel that my requests and questions are always made a top priority. I take piece of mind in that I always have someone to turn to if I need anything.